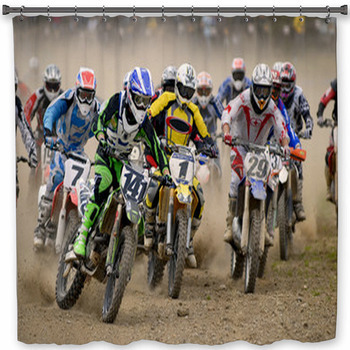 Motocross is one of the most exciting sports around today. 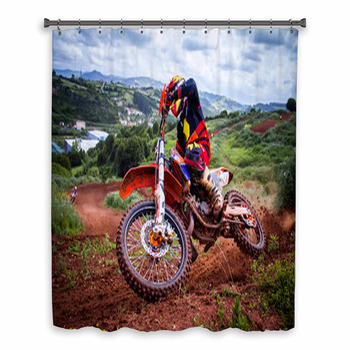 With riders in top shape who push their specialized dirt bikes to the edge and sometimes far over it is no wonder motocross keeps its fans on the edge of their seats. 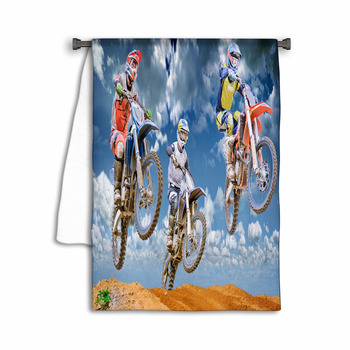 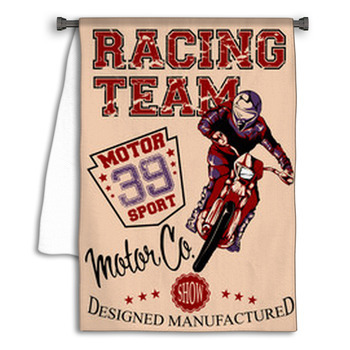 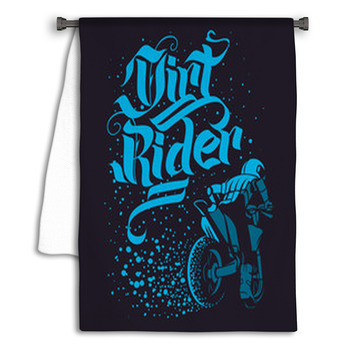 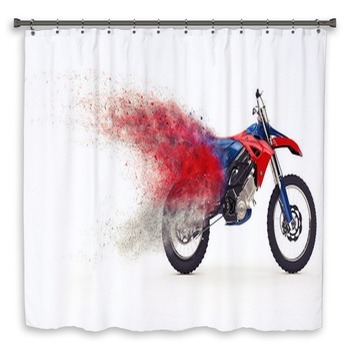 VisionBedding has custom motocross shower curtains to bring the sport home for those dedicated fans who want to add a unique touch to their motocross themed bathrooms or for those riders who love their sport and are looking for a personalized shower curtain that fits their style perfectly. 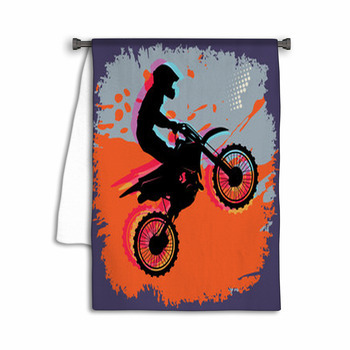 The dirt track style of a motocross rider on the edge who's pulling tricks while in the middle of big air with a background of muddy brown or bright green can add more than a little style and excitement to any bathroom. 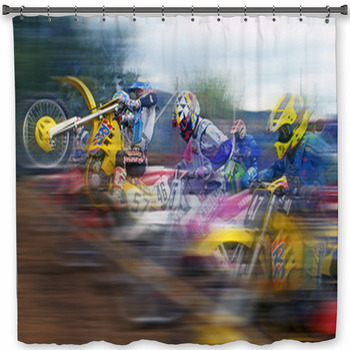 A flurry of riders blowing by in a colorful blur on a track that could belong anywhere or the black and white silhouette of a rider sideways in mid air can easily set a bathroom apart giving it a unique style. 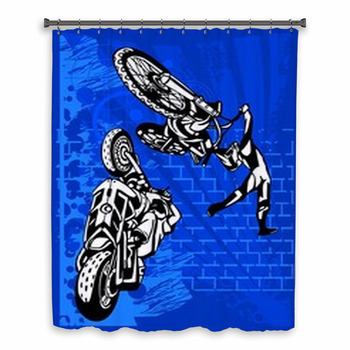 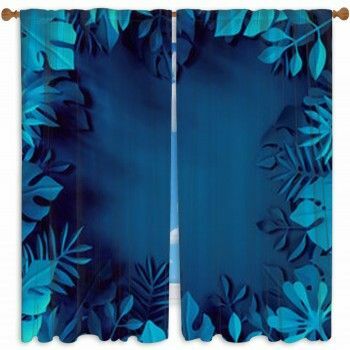 If stunts are the style of choice than pick a shower curtain design showing one of many motocross stunts performed at the peak of a great jump with a background of nothing but sky giving the impression of incredible air that is so difficult to achieve. 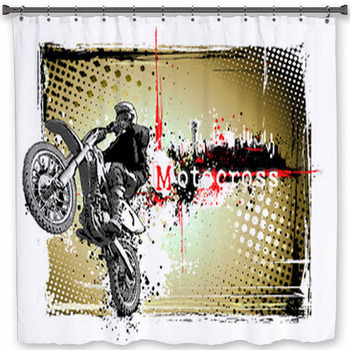 Going for a unique approach that cant be found anywhere else, then a motocross emblem showing a rider in air outlined by a pair of wings and figures with motocross emblazoned across the top all made in just the right color, chosen to fit your unique bathroom with a personalized motocross shower curtain. 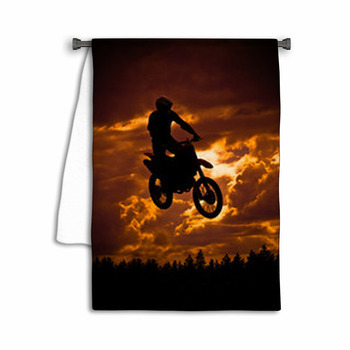 If pink is the color desired than a rider hanging from her handlebars in the middle of a big jump as if skydiving over a striped background of varying shades of pink is certain to make a one of a kind shower curtain that is sure to give any teenage girl a unique bathroom she loves.